Ah! The Joan Baez song fills our heart with love and warmth. There is a Bob Dylan version too! Have you ever tried hearing the melodious track? You may say that it is just a four-letter word, but Paulo Coelho puts it beautifully that when someone comes along, they add meaning to it. 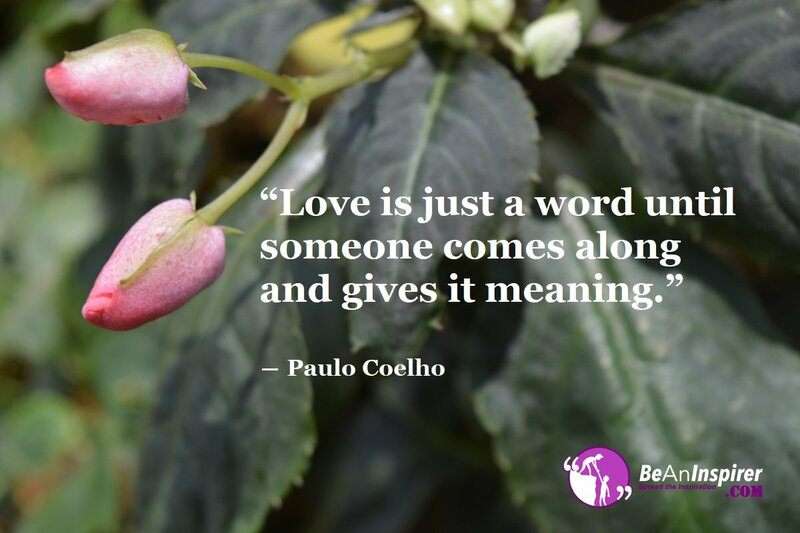 Love is a feeling which goes beyond mere words. Before you fall in love, you just exist and once that special person comes along, you actually live! There is a difference between existing and living. While I do believe that Oscar Wilde makes sense here, I would like to add that we learn to live when we have the right person next to us. Do focus on the word, ‘right’ here. Not everyone is the right person for us! When do you know when you love someone? It is not violins that play in the background or the tingling butterflies in the stomach. It is more about keeping your beloved ahead of you and you will start appreciating life. It goes beyond mere words and can only be felt! When you love someone, the feeling would be strong and you will start loving life and yourself too! Love does not create doubts in your mind. It makes you a better person and gives you the hope that life can be extraordinary! You probably did not believe that you could find someone, and then the door opens. This is the doorway to your heart! Your heart finally starts to relate to someone, and you find that you could be loved too! As a young child, I was against the idea of love. I thought was an act which looked good in movies. It felt weird to me as to how can love be so powerful that it can change lives! I look at me now, and I can proudly say that the four-letter word holds meaning for me. It goes beyond mere words, and love is a feeling which is irreplaceable. Securing good grades, getting the perfect job, or buying the first car may give you happiness. When you have someone to share your happiness with, it doubles the joy! I do believe that God has made a special person for us! We try too hard to make it work with anyone and everyone, but when the right person comes along, you would not need to try so hard! Let it happen in its own sweet time. What do you think? Share your thoughts about love with us! Do you have a story too? Were you like me before? Do you think it goes beyond mere words? Did you believe that you could find true love in your life? Well, that’s just too many questions but everyone’s story is different and it is beautiful to know the tales of love.